The weather in Montana is wonderful today. They have had a lot of rain and the rivers and creeks are running very full. 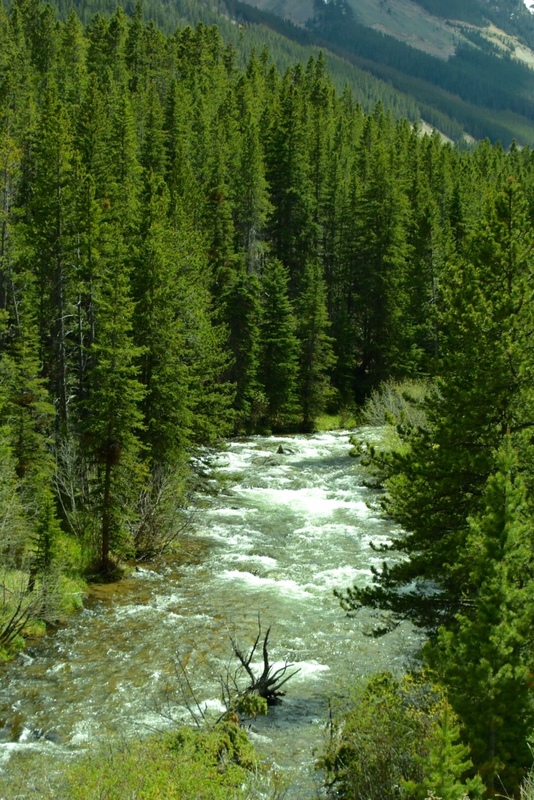 Below is a photo of just one of the many Creek in the mountains here in Montana. As you can see the scenery is awesome and the creeks are running full. Below is an image taken alongside the highway up to Beartooth Pass. Beautiful country, Many cliffs with different colors. And of course plentiful evergreen and aspen trees. 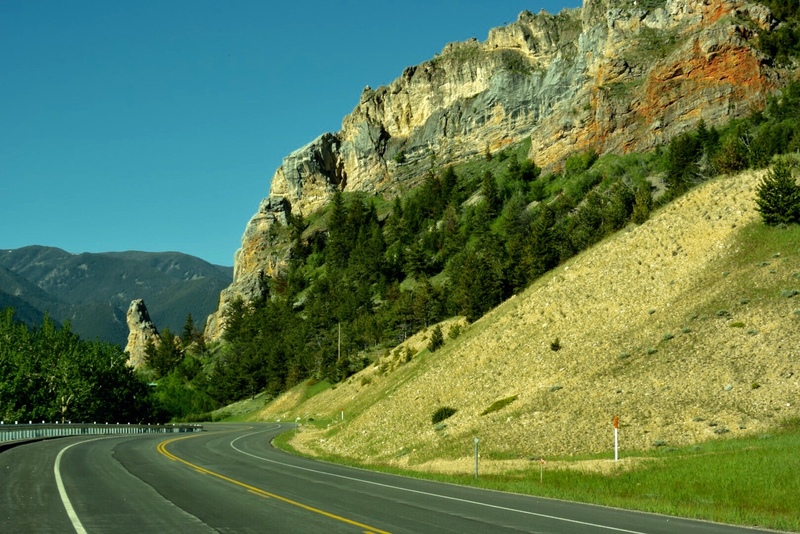 This scene is just south of Red Lodge, Montana alongside the highway driving towards the switchbacks going up the mountain.